Over 700 games are headed to the Robot Cache platform, which allows for users to trade digital games in for currency. Just like that, another PC gaming marketplace has joined the battle. 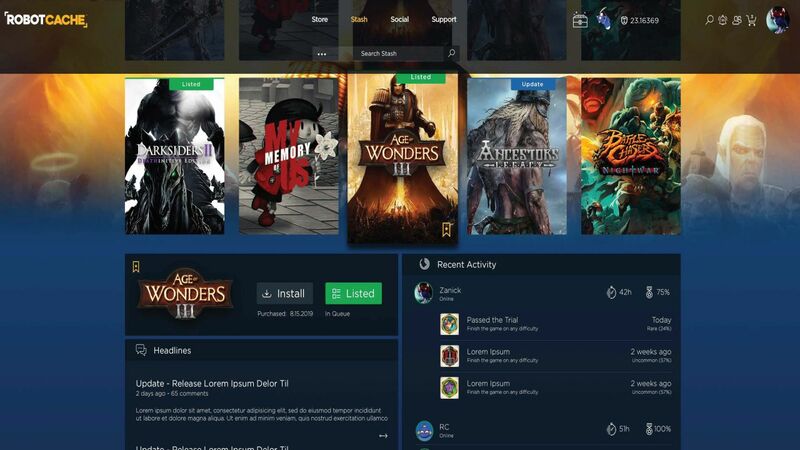 It's called Robot Cache, a "decentralized PC video game distribution platform," and its second wave of support welcomes over 700 games to its library. The platform is helmed by Interplay Entertainment founder Brian Fargo. “These creators are bringing more than 700 great games to the platform at launch next year. Their support means that we will be able to give gamers the largest launch library in the history of video games with even more to be announced soon. 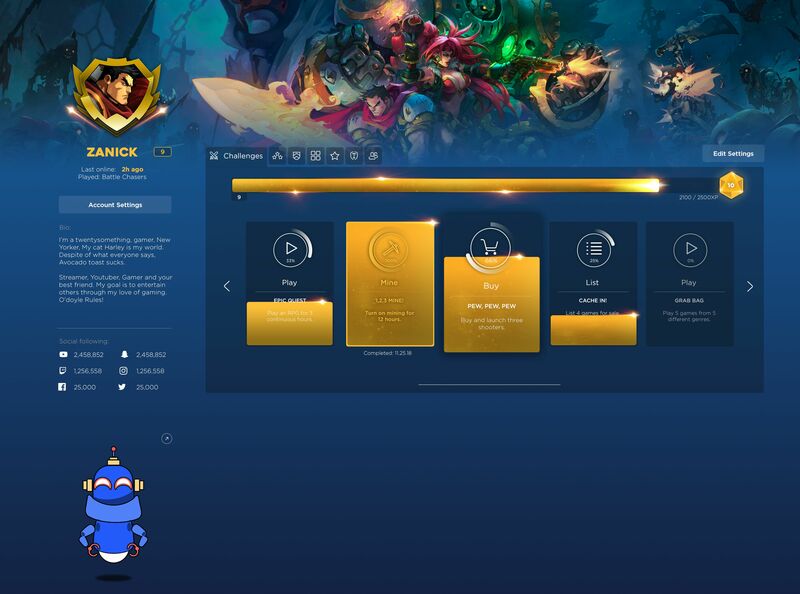 And today any developer or publisher from around the world can submit games for approval with an easy to use self-service portal,” said Lee Jacobson, CEO of Robot Cache, in the press release for the announcement. One of the key features of Robot Cache's blockchain-built marketplace is the ability for users to sell their digital games for 25% back in tokens. Robot Cache users can also mine iron tokens to use on purchases. The team at Robot Cache is excited about the Epic Games Store, another newcomer to the PC gaming storefront space, and they believe "competition breeds excellence." One of the highlights of Epic's new storefront is that developers take 88% of revenue. Developers get 95% on Robot Cache and get 70% of games that resold. “Whether you are a single person indie or a massive publisher, we have created the Partner Portal to provide you with a simple step-by-step process to participate in the Robot Cache platform," Jacobson says. "We are committed to building a healthy ecosystem where developers and publishers earn maximum profits by changing the economics and addressing long-standing pain points. Our goal is to create a better experience for game creators, from making it easier to garner promotional support to ensuring stellar account management to more control over pricing and sales." Robot Cache had already attracted developers such as inXile Entertainment, 505 Games, Paradox Interactive, and many others. Among the new faces are 1C Publishing, Devolver Digital, and Running with Scissors. The Robot Cache team also launched their Partner Portal so its easier for other developers and publishers to join this potentially groundbreaking marketplace. Robot Cache is still a work in progress, so stay tuned to Shacknews for additional updates. Next up, a new app store that pays 105% for every sale! "People ask us, 'how can you make money this way?' The answer: volume." Don’t worry, we will send you an email when everything is ready for you to come back and experience early access. In the meantime, we need more nice people like you. please help us share the news. Everyone who participates in early access will be in our founders club, which means you’re a founder forever with rewards, offers and this exclusive badge!